The TQ-Prep Workstation and IMMUNOPREP Reagent System together provide rapid, no-wash whole-blood sample preparation. Automation provides inter-sample and inter-laboratory consistency and reproducibility. A standard 32-tube carousel allows walk-away processing and perfectly complements Beckman Coulter flow cytometers with automatic sample loaders. 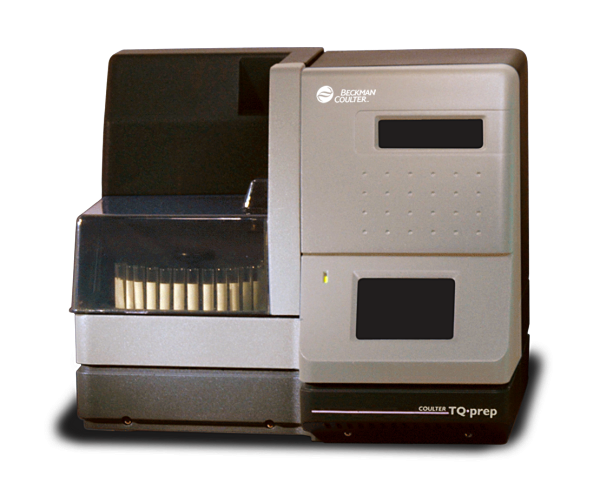 Intended primarily for laboratories with a high test volume (at least 300 tests per month), the TQ-Prep uses the revolutionary patented lyse and fix technology introduced more than a decade ago with the Q-PREP Workstation and IMMUNOPREP Reagent System.